Should I get my A/C serviced? We have all heard the old saying "if it isn't broke don't fix it", but unfortunately that does not apply here. 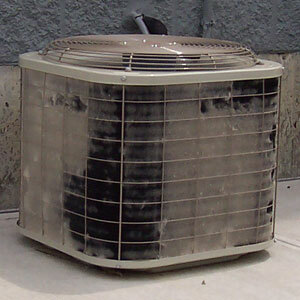 Just because your A/C is running and cooling does not mean that it is working properly or even efficiently. Also if you have recently installed a new heating & cooling system a lack of maintenance can also void your manufacturers' part warranty. The air conditioner and coil if installed properly and a load calculation is done are sized to match the home's need to drop the temperature. Both the outdoor condenser and indoor evaporator coil are designed to give optimum heat transfer for the area being cooled. Optimum heat transfer and system efficiency are calculated on clean coil surfaces. The air moving across these coils will contain a mixture of dust, dirt, pollen, grease, and moisture. Airborne contaminants settle on the coil surfaces, impacting the coil’s ability to transfer heat. Pollen, bacteria, and mold spores on the evaporator coil will not only reduce heat transfer, but will also affect the quality of the air within the home or building. This can cause higher operating pressures and temperatures which may reduce the equipment’s life expectancy. The elevated system temperature and pressure can lead to the breakdown of the compressor’s lubricant. Dirty condenser coils increase power costs. When the coil becomes dirty, it will not provide adequate or designed heat transfer. The dirt's insulating effect causes higher discharge pressure. The higher discharge pressure increases amp draw and run time of the compressor, at the same time reducing capacity. Equipment operating with dirty coils may use as much as 37% more energy than equipment with clean coils. Let’s take a look at a 10-ton air conditioning system with a typical kilowatt cost operating for an average cooling season of 1,500 hrs. It costs approximately $1,650 to operate this system with clean coils. However, when the condenser coil becomes dirty, the six-month cost of operation escalates 37% to $2,260. From this example, just by keeping coils clean, $610 savings can be realized in one cooling season. That’s a savings of $61 per ton. A typical, 4-ton residential system would realize $248 savings in one cooling season. Areas with longer cooling seasons or higher-than-average power costs can realize even greater savings. The cost of dirty coils goes even further. As dirt and grime collect on the condenser, they restrict heat transfer, causing the compressor to work harder; more heat is added to the system, thus causing the head pressure to rise. Rising head pressure will result in a loss of cooling capacity of up to 30%. Also if you have a newly installed system that has a parts warranty from the manufacturer if you read it closely you will notice something to these sorts: "The Products must be properly installed, operated, and maintained by a licensed HVAC service provider in accordance with the Product specifications or installation, operation, and maintenance instructions provided by Company with each Product. Failure to conform to such specifications and/or instructions shall void this limited warranty. Company may request written documentation showing the proper preventative maintenance". Most manufacturer's have something to these sorts written into the warranty to protect themselves. Same as when you buy a new car if you fail to change the oil and the engine blows up the car warranty will not cover that. A lack of maintenance can cost you a lot of money not only in energy savings, but in repairs and life expectancy of the equipment. 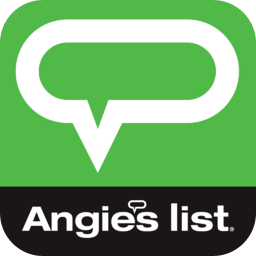 Here is an article from Angie's List also on the topic.